It is too difficult to select one because there are so many photographers and it is tough to find their speciality. The photographers do not get the brief right. 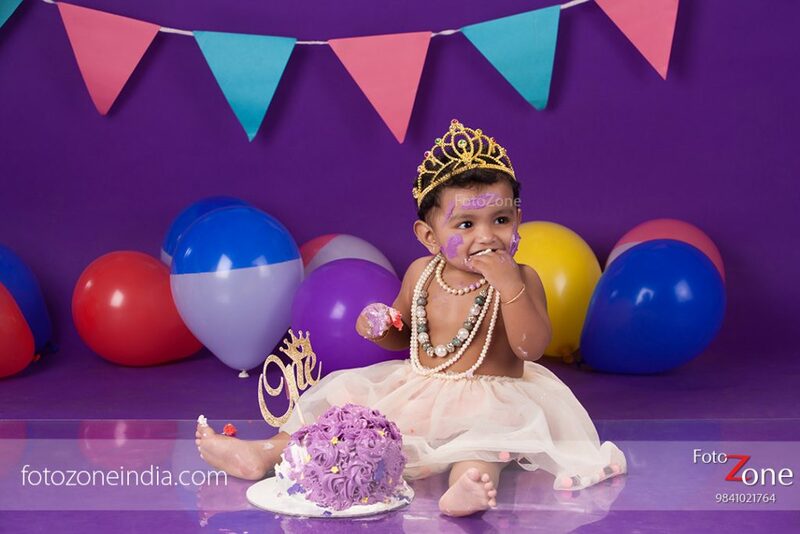 While the above reasons, should ideally be a wake up call photographers, FotoZone, in particular, is happy to have carried out the survey to understand the inhibitions of parents and we are also proud to state that we are possibly the first in Chennai to be photographing Child’s first birthday. Parents usually have a theme for their child’s first birthday. 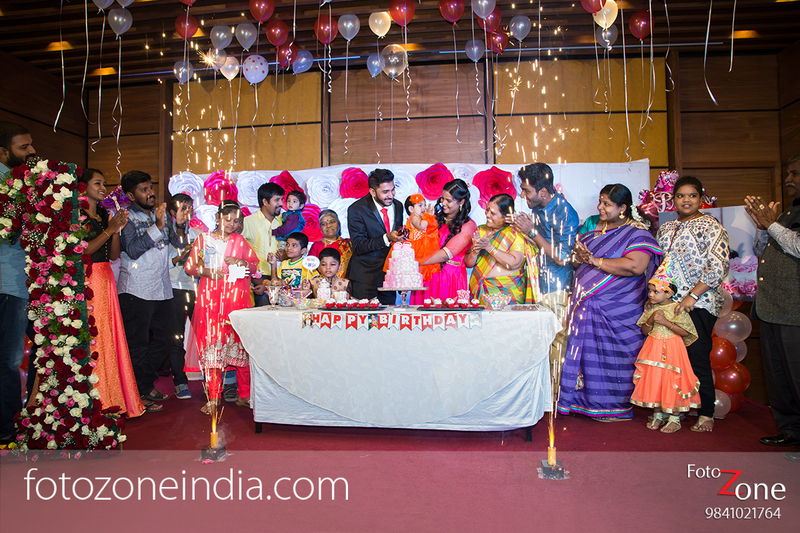 This theme is very carefully selected by parents and they also get very emotional while talking about. As photographers, we never doubt their decision when it comes to theme. No matter what, FotoZone works with the theme provided. Also we do enough research about the theme so that we get the props ready, lights for the shoot and other elements that are required for a successful shoot. We also use this time to understand the child’s daily cycle – what time does the child usually stays in high spirit and what time the baby sleeps (usually). There are instances where we have shot in the middle of night, because the baby was comfortable and best at nights. 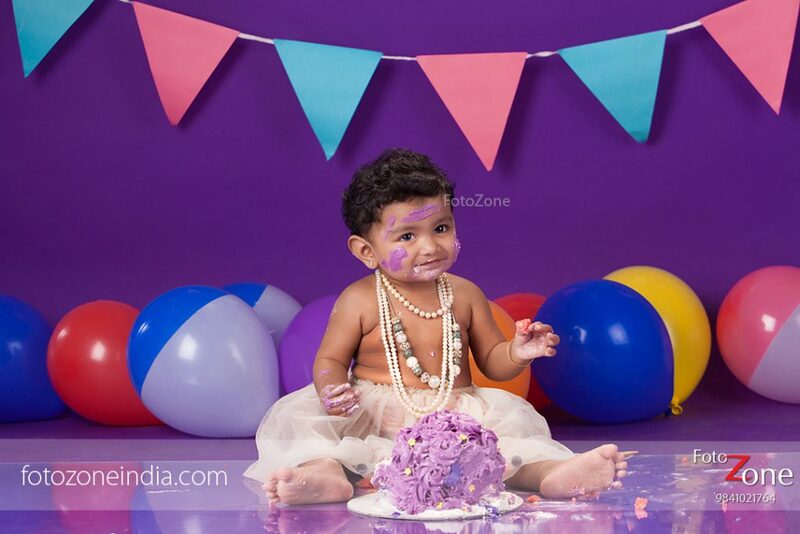 Cake Smash Photos as trend | FotoZone has introduced the ‘cake smash-indulgence photography’! This is for parents who would like to send invites to their guest list with a picture of their child smashing straight into the cake. While anything with the child is cute to watch, a child smashing into the cake and capturing the right moments not only makes for a perfect picture but a great image for birthday invite too! No matter the theme, the props should be less. The eye catcher in the frame should always be the child and its expression and never the backdrop. Using just the right colour as the background with one element as prop is sufficient enough for the shoot. It is wise to remember that every child’s expression is like a snowflake, everything unique and beautiful – make use of it. If the parents would like to order an exclusive cake for the photoshoot – embrace it. 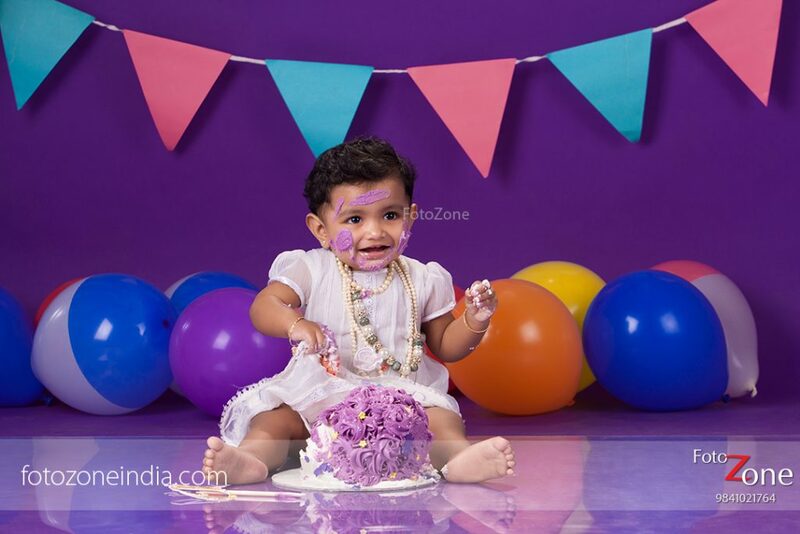 Photographing the child as it smashes the cake and has the cream all over its face, is certainly a cute moment. As a photographer, you can play with these objects by zooming in – child’s legs and the cake for example. Also after finishing the shoot, ensure to place the pictures in an album that is not overwhelming. It should aid the beauty of the images and not take the spotlight. Staying patient is not just good for one’s health but also for professional life. Just try it once to see the result! Also at every point of time communicate with the client. The more you communicate, the better are your chances of refining every frame. This is because your interaction with the client helps you to understand what they want. 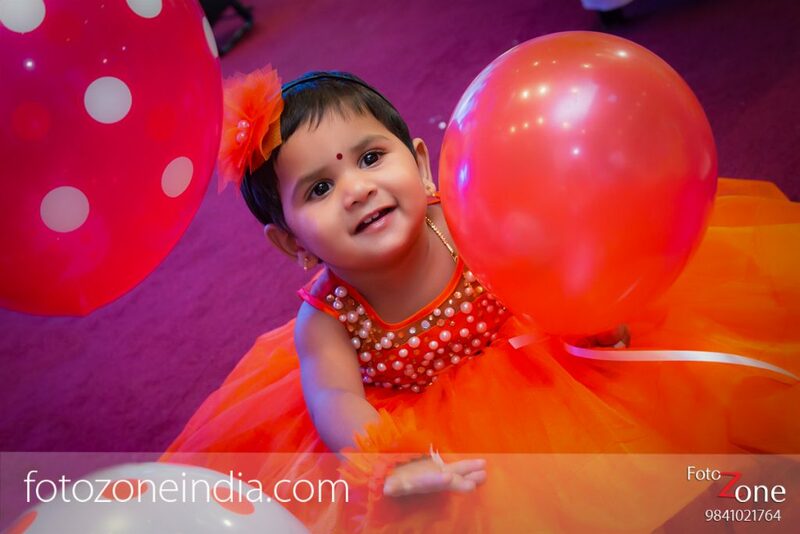 For ages now, we have been doing child’s first birthday portraits and candid shots. If you would like to know more, write to us and we would be happy to assist you with your requirements.